Mr Bijon Shaha, engineer and polyglot, introduced his topic of discussion, the history and growth of Esperanto - the universal auxiliary language, with much enthusiasm at the Xavier Centre of Historical Research. ‘How many of you would you like to learn a language that is an all-purpose international language, that is super easy to learn and master, that is super convenient to use, that is super creative to express your ideas, that is super-efficient for everyday use and that is super neutral, not being part of a particular group of people or country?’ queried Mr Shaha. The answer is Esperanto, which means one who hopes. The world’s most widely spoken constructed language derives its name from the pseudonym of its creator, Dr L L Zamenhof. Though the world claims universal brotherhood, we know this to be far from true. Blood is shed daily on the basis of race and religion, wealth and social status, and one of the primary culprits to stir turmoil along with these factors is language. It was this atmosphere of divisiveness that prompted Ludwik Lazarus Zamenhof to conceptualise an auxiliary language that would assuage the animosity encouraged by different languages. Different languages clearly emphasised the differences in race and country. L L Zamenhof was born in 1839, in Bialystok, which is now part of Poland but was at the time part of the Russian empire. There were Belarussians, Russians, Poles, Germans and Jews and others living here but essentially as separate communities. Each of them tried to force their language on the others and there were constant squabbles and demeaning of the other’s language by another. Zamenhof believed if everyone spoke a common second language all the pettiness would abate and people would be able to live together as a community. It would be an auxiliary language, meaning it would not replace the mother tongue of any of these ethnic groups. Zamenhof had the benefit of having acquired the knowledge of many languages. His mother tongues were both Russian and Yiddish. From his father he acquired German, French and Hebrew. In school he learned Latin, Greek, Hebrew and Aramic. While still a student in secondary school, he began working on his Lingwe Uniwersala project drawing the best from all the languages he knew. His initial attempt brought forth a language he deemed to have a much too complex grammar. This he realised after his study of English. His friends were quite taken up by this new language. The adults, however, thought him either a genius, a fool or a madman. He was pressurised by his parents to take up a more lucrative occupation and admonished to take up his project only after he had graduated from medical college. He was a young ophthalmologist when he decided to have his work published in 1887 with the monetary aid of his father-in-law. The book was in Russian and was called Unua Libro (First Book). He called it Lingvo Internacia but it was Esperanto that soon became the name adopted by the people, owing to the pseudonym of Doktoro Esperanto that Zamenhof had taken. The English translation by Richard Geoghegan was titled Dr Esperanto's International Language, Introduction and Complete Grammar. Initially, nobody bought the book and Zamenhof would send it by post to various people. Those who read it were amazed and within a few years the language had spread throughout Europe and her colonies, the Americas and Asia. Among famous Eperantists are Jules Vernes and Leo Tolstoy. Vernes said of the language, ‘The key for a common language, lost in the Tower of Babel, can only be found in the use of Esperanto.’ Leo Tolstoy professed to having learned the language within a matter of two hours. The test of the efficacy of this constructed language could be judged only by the ability of one person with the knowledge being able to communicate with another though they may have different mother tongues. Thus, it was decided to convene a World Congress of Esperanto (Universala Kongreso de Esperanto) in 1905 in Boulogne-sur-Mer, France. They had 688 participants from 20 countries and the congress was a great success. This congress has been held in different countries every year since 1905 with the exception of World War I and World War II. It is organised by the Universala Esperanto Asocio. To prevent the modification of the grammar, a standard of grammar was introduced in the same year called Nucleus of Grammar (Fundamento de Esperanto). This ‘conlang’, or constructed language, had some 900 root words from which other words are constructed using prefixes and suffixes. Gradually this list was increased to over 1000 words. Any international word that is well understood can be included in the vocabulary. There are only 16 rules of grammar and words are not masculine or feminine as they are in some languages, for example, French. The Esperanto symbol with the green, five pointed star was proposed by Richard Geoghegan in 1889 because he believed that Esperanto speakers should define themselves by carrying this symbol. The green colour reflects Geoghegan’s Irish origins. In 1908, Esperantists decided to found a country of Esperanto speakers in Neutral Moresnet, a country between Germany and Belgium. It was to be called Amikejo. However, neither Prussia nor Belgim were willing to give up their claim to the country and today it is part of Belgium though still of much interest to Esperantists. The Tsarist censorship under Russia put some strain on the language but was it was soon overcome by providing a translation in Russian to ensure nothing negative was being written about the Tsar. Meanwhile, Zamenhof died of heart trouble during World War I, in 1917. After the war, the League of Nations advocated the use of Esperanto as a universal language, but France vetoed the decision citing French as the prevalent international language with no need for another. World War II saw fresh hurdles for this language with the rise of Nazism and surge of anti-Semitism. Zamenhof’s religious background did much harm as he had foreseen when he declined to lead the first World Congress of Esperanto. He was born of an orthodox Jewish family, but eventually became the originator and proponent of Hillelism, which he believed would negate the effects of the strict Jewish dress code and purity requirements and reduce anti-Semitism. Hillelism, later known as Homaranismo (humanitarianism) was also adopted by his daughter Lidia. His attempts were futile as the oppression invited by his lineage continued. Hitler, in his Mein Kampf, called Esperanto the language to be used to unify Jews all over in order to subjugate the Aryans. Esperanto literature was burned and Esperantists were sent to their death in concentration camps in Germany and Poland. Zamenhof’s three children, Adam, Sophia and Lidia perished in the holocaust because they were Jews and Esperantists. Stalin was vehemently against Esperanto, viewing it with suspicion and calling it the language of spies. Esperantists were either exiled or executed during his regime. During the Cold War, both sides were suspicious of the language, and this slowed down it its progress to a certain extent. Today, an estimate says there are about 2,000,000 speakers of Esperanto, mainly in Europe, East Asia and South America. The language can be learned through books, websites and courses that are held. The International Academy of Sciences in San Marino, a small republic surrounded by Italy, uses Esperanto as its medium of instruction even up to post graduate and doctoral levels. There are songs, poetry, magazines, short stories and novels in Esperanto and some of the major writers in Esperanto are Marjorie Boulton, William Auld, Julio Baghy and others. Classics in English such as Alice in Wonderland and The Hobbit have been translated into Esperanto. 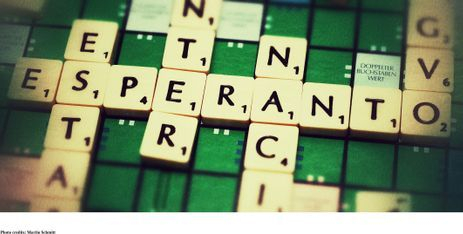 Esperanto is not that well known in India but is gaining ground slowly thanks to the various media of instruction available. It is one means of bridging the many divisions we humans are so apt to enforce.